Virginia Beach has launched a website featuring new and improved aspects that promote Oceanfront Tourism and Vacation at this popular East coast location. 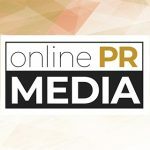 Online PR News – 22-April-2015 – Virginia Beach, VA – The website is completely responsiveness too, providing impressive details on places to stay, where to dine and visit along with favorite things to do. You can find all the details you need about going on vacation in Virginia Beach here. Placing the cursor on a particular section immediately unveils a variety of options for one to click and access required information. An appealing color scheme is employed, incorporating white spaces in-between text and images, making the website easy to navigate and use. VaBeach.com features informative content, utilizing internal links to deliver help deliver information. The Events page provides useful information about actions taking place in Virginia Beach and their specifice venues or locations. Visitors to Virginia Beach will have the added convenience of finding event easily so that they can integrate these important aspects into their itinerary. You can click on a list of events organized by category or by venue, apart from sampling the diverse popular music stages available street-wise. Having advance knowledge of different places to stay means that you can work out your budget with better accuracy. You can find different kinds of hotels which Virginia Beach offers to suit your intricate vacationing needs. Whether you want to stay at a five-star hotel, vacation-rental/Beach Home or motel, you can easily navigate to your desirable choice and make early bookings online. Virginia Beach features an array of high-class restaurants and eating establishments which offer guests assorted dishes from a variety of cuisines. Deciding what to have for breakfast, lunch and dinner becomes an easy pastime when browsing through the various options available on the site. Shopping while on vacation in Virginia Beach can be a hassle if you are not sure of where to get different items of interest. The new section on shopping searches introduced helps to alleviate this problem in innovative manner. Just click on the shopping alternatives provided to suit your taste. Visitors to the VaBeach.com website get to enjoy a selection of unique videos which tell the story of Virginia Beach by showing various features and exciting activities to do. Expect to find all your navigation instruments to different hotspots in and around this location, customized to afford you an unforgettable vacationing experience. All new aspects which the website includes are completely responsive. All elements are constructed with superb expertise to keep you from experiencing unusual frustrations when seeking for user info. There are great suggestions of things to do, with activities listed by category. As well, visitors to the VaBeach.com site experience fast loading speeds which helps in attaining target content with great efficiency. Content is a vital aspect of any website. Having good content helps keep visitors online as they get engaged for lengthy time-periods. A website designed in poor manner can undermine the confidence of its visitors. By contrast, a good one is capable of attracting more visitors and engaging them through useful content. Right at first sight, VaBeach.com looks impressive and employs numerous user-friendly features. It is easy to read the content posted on the different sections available. With this in mind, it goes without saying that the website's users are in for a treat.